I participated recently in the event Imagining Europe organized by the European Cultural Foundation in Amsterdam. 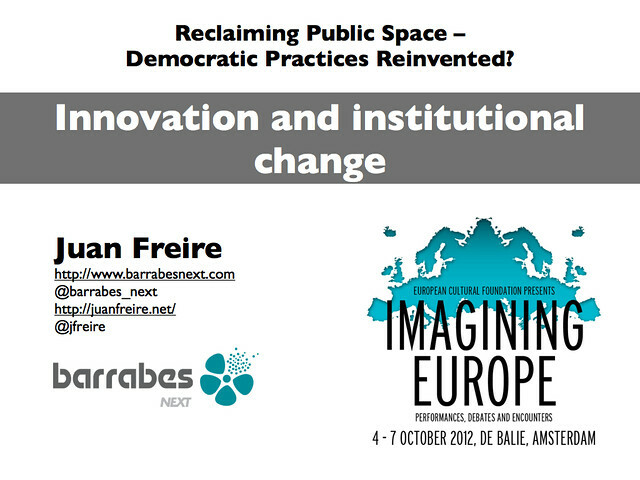 Specifically I was part of the roundtable and debate Reclaiming Public Space – Democratic Practices Reinvented? where we tried to put "[d]emocracy in Europe under the microscope" (here a resume of the activities of the day). How do the alternative models [organizations and processes based in bottom-up and networked dynamics] connect and / or collide with traditional political and cultural expression? How can new initiatives develop sustainable and long-term ways of participation without losing their innovating character? The new models of organizations and processes based in bottom-up and networked dynamics should be considered experimental. The only way to innovate and learn how to make effective the new practices and structures is to make them real and explore their possibilities. This means also that we need to allow failures as the only way to get real innovation. From my point of view, we should look especially to experiments occurring in two fields. Traditional education is suffering a long-lasting crisis but many alternative models based in learning by doing and collaboration are emerging. 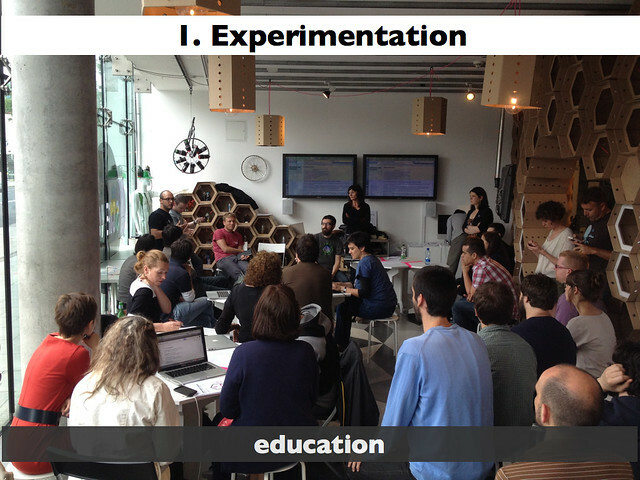 Also, education is overpassing its traditional limits to be part of the agenda of culture, science or business; the lab is the new concept of space for experimentation, prototyping and learning. Political activism is other area of intense experimentation. 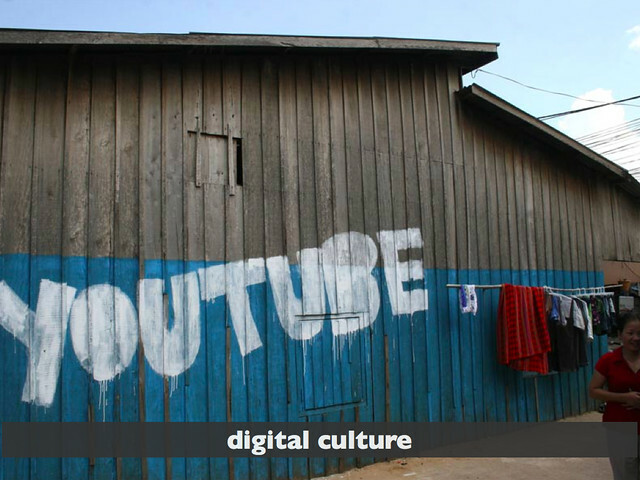 Citizens are using technology and public spaces to organize themselves to discuss and make politics, sometimes in conflict with the traditional politics (represented by institutions and political parties), sometimes opening new opportunities for dialogue. The novelty here is the large scale and diversity of the citizen-driven actions taking place from 2010 worldwide (from Arab revolutions to #15M or the Occupy movements or to activism occurring in Israel or Chile to put only a few examples). 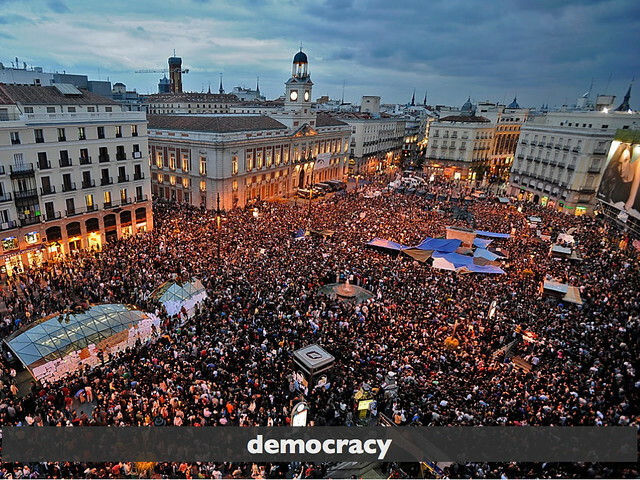 These civic movements need spaces for communication, deliberation and collaboration and in this sense are reclaiming the re-appropiation of the public space by citizens. 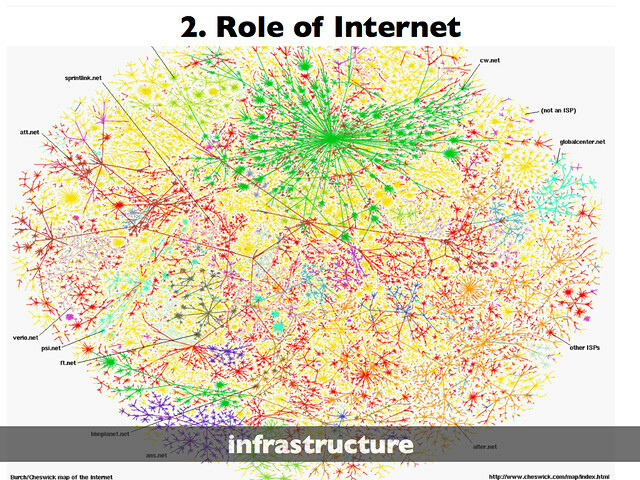 Alternative models could be not understood without the role of the Internet. They are not only digital phenomena; most of them are eminently analogical processes. 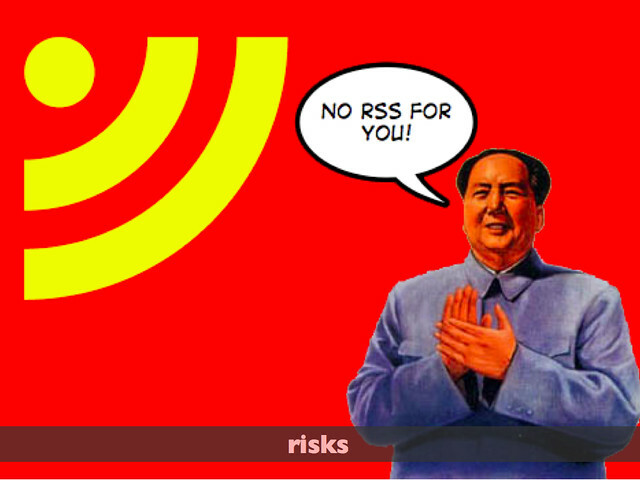 However the Internet is a key element at least from 3 points of view. First as an infrastructure that allows the new network organizations and processes to be effective at a large scale. Second, the Internet has been the driver of the re-emergence of new practices and values, a new digital culture based in ideas as openness, peers, commons or collaboration and the rethinking of intellectual property. However the Internet is also a risk for these emerging phenomena because it is also a powerful tool for the power to try to control citizens, especially, but not only, in non-democratic countries. This is the other side of the impact of the digital; the balance between the pros and cons is not decided and will depend of the active roles of the different stakeholders. 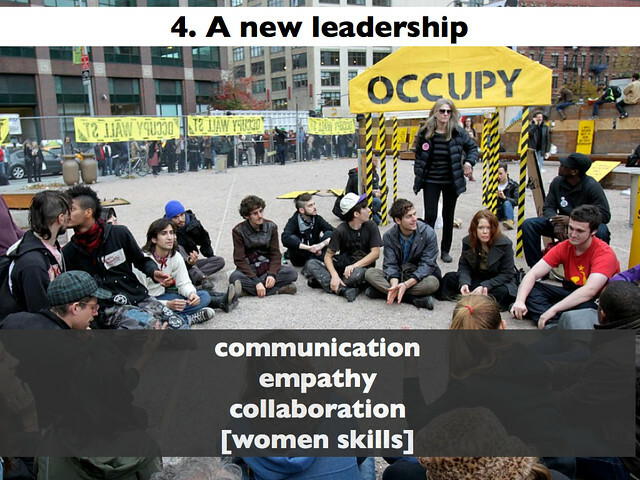 The new scenario changes the roles and outcomes of the different social collectives. 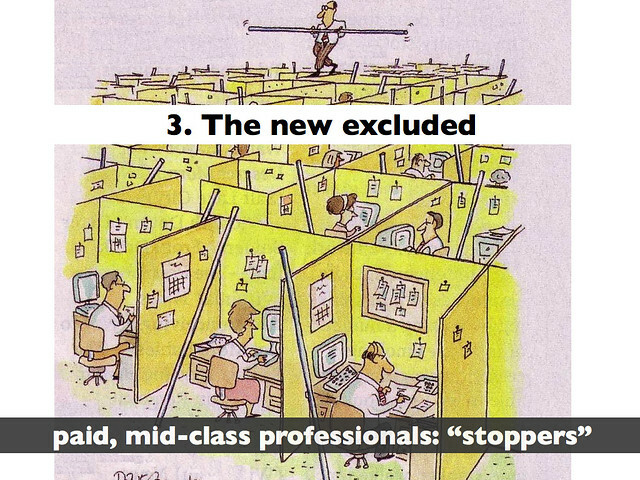 In one side, probably a new class of excluded is emerging that it is very different from the traditional ones. The mid-class professionals usually working for big corporations and institutions are in many cases unable to understand and participate in the new models and as a consequence act as "stoppers" trying to keep their world as usual. Networked organizations are open and flexible but leadership continues to be necessary. A new kind of leaders emerge with skills different to the leaders of the past. They need to communicate using new media and empowering social networks. They have to develop empathy with the different stakeholders. Finally most of their work is behind the scenes making things happen and, in this sense, promoting collaboration and team work. New leaders are obviously women and men but in many aspects their skills and values are much more close to those that traditionally were assigned to women. New models are working well at the small scale in the sense that we are getting many learnings and insights from these political experiences. However they attained large scale only during short periods as reactions to extreme situations (as dictatorships in the Arab revolutions) or as sophisticated demonstrations in democracies; but they have no transformed the political system. In contrast in the last decades digital processes have been able to attain large scales (i.e. Wikipedia or the free software communities) transforming for example the production and distribution of knowledge. 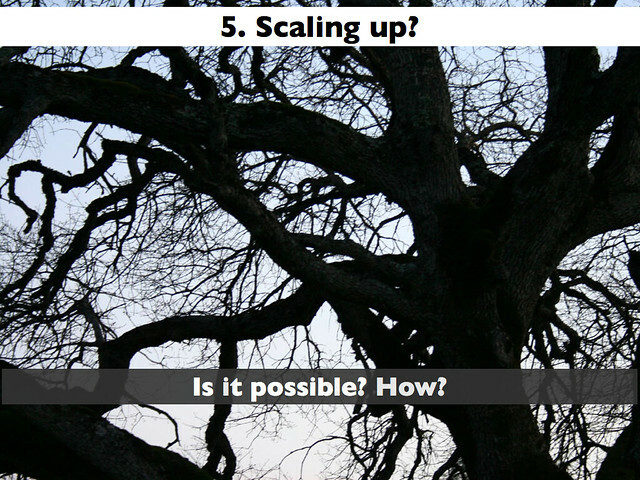 The main question for the future is how to scale up political processes and organizations. We need dialogue between the traditional representative democracy and the new deliberative and participatory politics. Now in most cases they are operating in different channels and the conflicts continue to be manageable because of the scale, but with increasing complexity new consensus, organizations and institutions are needed and they could only emerge as hybrids of the remix of the old and new ones. 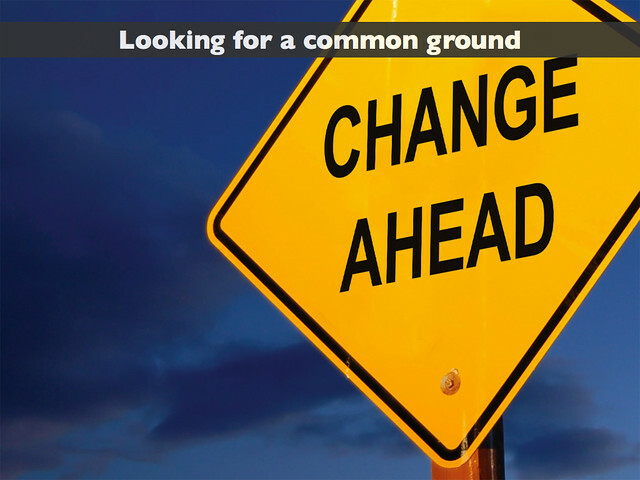 An agenda for transformation needs to identify why, how and what is changing for the better, and to look for a common ground where the new and old processes and institutions could collaborate.